Whether or not Sheeran has the chops to pull of some of the modern R&B moves on the album is debatable, but he wins points for throwing himself into each of these tracks with reckless abandon. The British-accented quasi-rap he perpetrates on many of the songs falls somewhere in between Mike Skinner of The Streets and Alex Turner of Arctic Monkeys, even as he deals with fare far less gritty than either of those other two artists. Sheeran has a knack for winning refrains that get him out of the densest lyrical pickles. And when he broadens his scope beyond the whole conundrum of dump-or-be-dumped, he delivers some dynamic winners. In “Runaway,” accompanied by a killer groove reminiscent of Elbow’s “Grounds For Divorce,” he takes the guise of a young kid who loves his Dad but still knows enough to sidestep the Old Man’s dead-end life, while “Bloodstream” sustains a beguilingly itchy tension from start to finish. Ironically, it’s when Sheeran tries to hew closer to the more traditional acoustic material that X feels the least convincing. Album-opener “One” does a nice job mixing drunken regret with romantic dedication, but tidy love songs like “Tenerife Sea” and “Thinking Out Load” sound toothless compared to the searingly frank, rhythmically daring confessionals that pop up throughout the album. 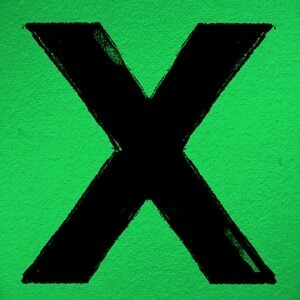 So it is that X presents Ed Sheeran in somewhat of an identity crisis. Still, it’s fascinating to hear him work out whether he’s a hopeless romantic or just a guy who thinks romance is hopeless.